Think bar crawl—except sober and sweatier. All photographs courtesy of SweatCon Rally. 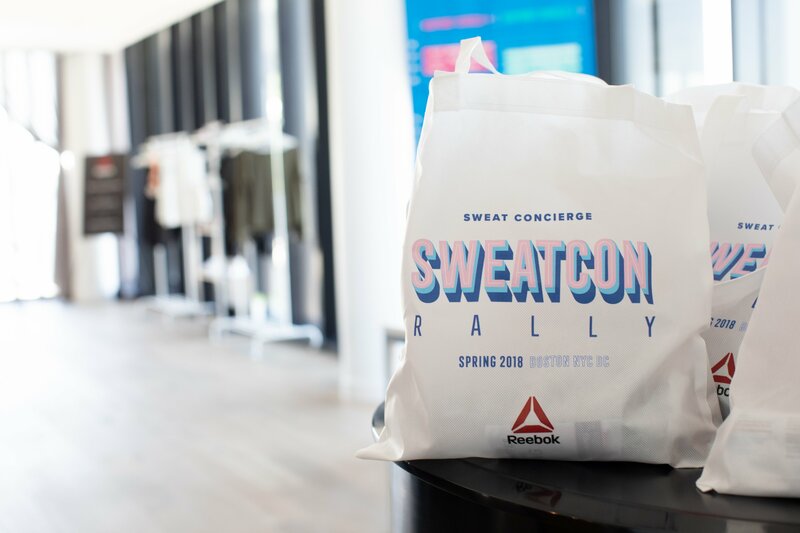 If you missed SweatCon Rally last year, don’t worry: It’s coming back again. 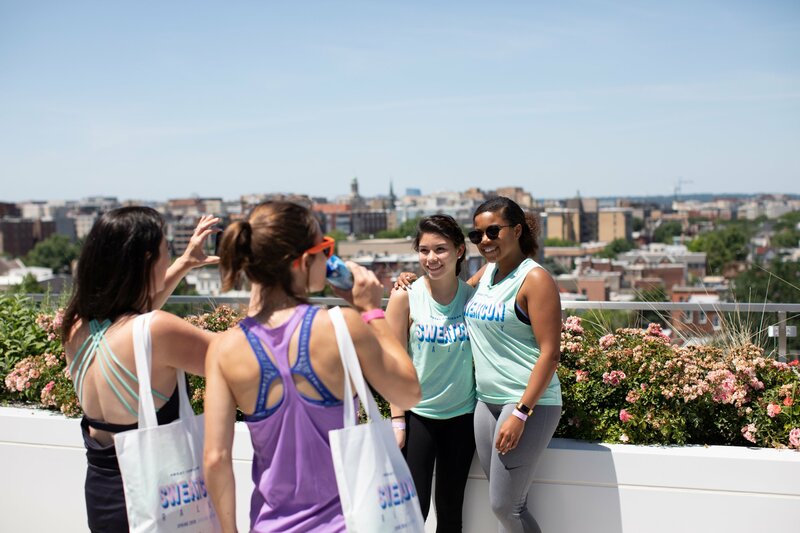 The boutique fitness studio crawl (like a bar crawl, except sober and a lot better for you) will host its second-annual DC event May 18. Here’s how it works: That morning, participants will meet at the 880 P apartment building’s rooftop for a kick-off party, complete with all the perks your fitness-loving heart desires. Think a juice bar, DJ, photo booth, a hair braiding station, and a grab-bag filled with goods from brands like Vita Coco, Sweetgreen, and Living Proof. You will definitely want to grab a swag bag. When you register for the event, you can choose between six local neighborhoods in which to studio hop (and for the first time, Clarendon is in the mix). You’ll be in a group of about 20-to-40 people, and a team captain will lead you to your selected neighborhood. There, you’ll hit three different studios for 30 minutes each. The goal is to try new spots and challenge yourself while in a welcoming environment, says Tori Scott, the founder of fitness studio-reviewing site Sweat Concierge, which hosts the affair. And yes, the day will be full of potential Insta material. And with a solid mix of cardio, strength, and yoga and barre workouts in each neighborhood, it’s likely you’ll find one thing (or two! or three!) that really resonates. Early bird tickets for SweatCon Rally go on sale today at 12 PM and are $60. Regular ticket pricing kicks in April 29 and is $75. You can buy tickets here.